I'm down with flu since last night. Hiaz. 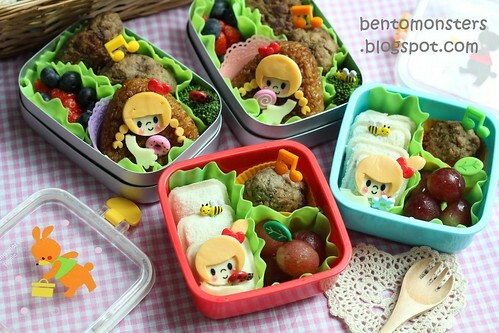 :( I still packed them bentos since what I planned to do can be completed rather fast. I pre-cut the cheese last nite, so this morning was just assembling and adding nori and picks. 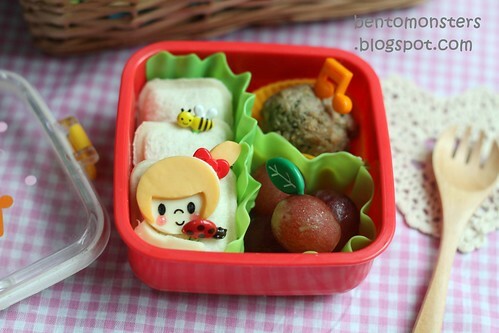 Not much cooking for the food either, meat patties were from my bento stash in freezer, and grilled onigiri was bought. 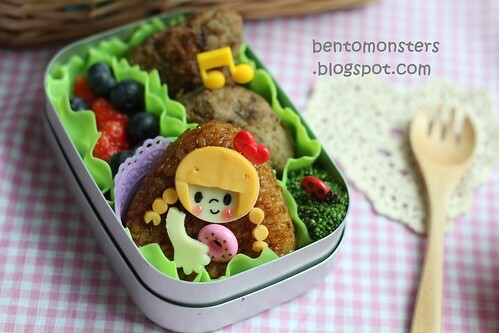 IT's box, he had onigiri, meat patties, strawberries, broccoli and blueberry. 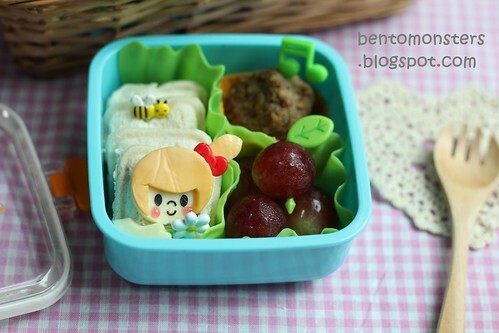 IT's box for School, he had peanut butter pocket sandwich, meat patty and grapes. LT requested for a box again, so I made for him since the decor for today is fairly simple and fast. He had same food as LT, except he had strawberry pocket sandwich instead. 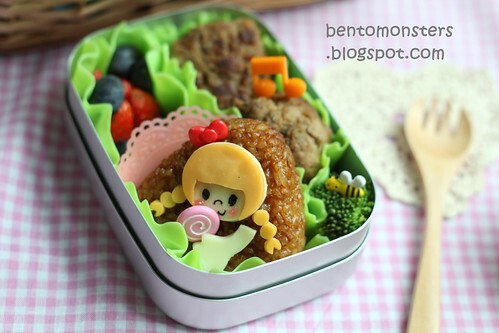 Ming, they are so cute and I am sure much appreciated knowing it was prepared by a sick mama. Hope you get well soon! Tks Emily! I'm fine today after a good nite sleep. :) lol, I can't resist them, though I dun use them much. I just bot some new ones again, will post them up when they arrive.